Under certain circumstances, outlined in Section 165A of the Road Traffic Act 1988, the police have been given authority to seize vehicles from motorists if they are breaking the law or misusing their vehicle. There are various reasons that can warrant the police to seize a vehicle but the vast majority are seized due insurance or license related violations. Cars are most often seized on the spot if the police have reason to believe that the driver does not have a valid car insurance policy or if they are driving a vehicle that their license does not allow them to. We are now regularly seeing reports that the number of vehicles being seized is increasing year on year, with some sources estimating that a staggering 500 cars find their way into police compounds every day because the driver did not have sufficient insurance. Other situations that could cause the police to take such action include vehicles that are not taxed, vehicles that are parked illegally or dangerously or where the vehicle is being driven in a very dangerous or threatening manner. In this guide we are going to look at the process of releasing an impounded vehicle so that our readers will know exactly what to expect, which documents they will need to provide and to give an idea of what kind of costs will likely be involved should they ever have their vehicle seized. When the police seize your car they will provide you with a Form 3708 Seizure Notice, an example of which can be found on the Metropolitan Police website. You must attend the compound where your vehicle is being held with all of the documents & proofs listed below within 7 days of receiving your seizure notice to collect your car. If you do not attend within 14 days for any reason you risk forfeiting your vehicle which could then be crushed by the police or in certain cases sold at auction. Firstly, you will need to prove your identity to the officers at the compound. You will also need to take your full driver’s license including the paper counterpart. It’s important that the police are satisfied that your driver’s license actually allows for you to drive the vehicle that you are collecting. Therefore they will need to see your full driver’s license including any paper counterparts. Old style paper licences can be accepted but you they must be accompanied by supporting photographic evidence such as your passport. If you hold an EU or EAA country license then you must also show your passport to the compound staff. If your license was obtained in a non-EU country, you will need to take an official translation document or your international driver’s permit. The staff may also ask to see your immigration documents so it is well worth taking those with you to avoid delays or return visits. You need to be insured to drive the vehicle and the police will definitely want to see proof that you are covered. Because vehicles are most commonly seized due to the driver not having car insurance, officers at the compound will insist on seeing your certificate of insurance before they will allow you to collect your car. Sometimes finding suitable cover can pose problems; many insurance companies’ policies do not cover impounded cars. Not all insurance providers will ask if the vehicle you intend to insure is currently impounded, however the vast majority will include some kind of small print in their documentation to exclude impounded vehicles from their cover. Fortunately there are some reputable firms that offer impounded car insurance and there are many brokers out there that can help you to find cheaper cover quickly but it is often more costly than a standard policy. The staff at the compound will need to see proof that you are the owner of the car that you are collecting. Your vehicle logbook (V5C) or the new owners supplement (V5C/2) that you were given by the previous owner. Before you can finally release your impounded car you will have to settle any outstanding charges. 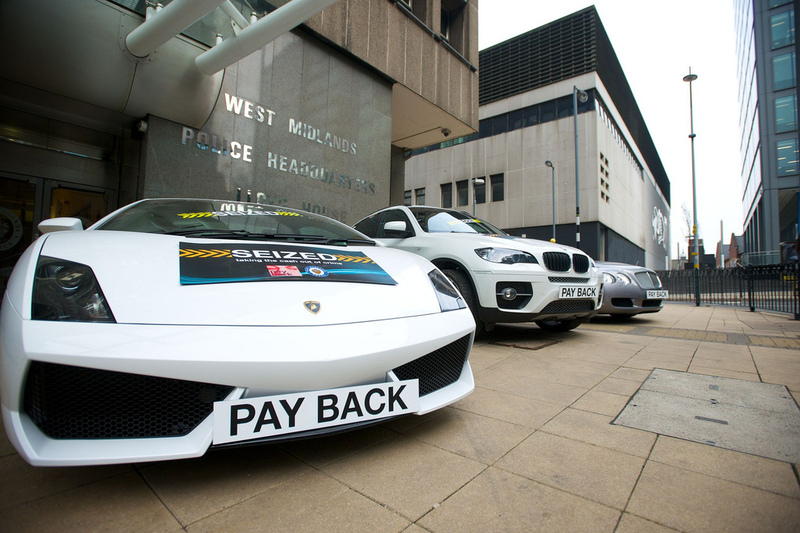 The compound fees vary slightly in certain constabulary areas but generally speaking you will have to pay a £150 release fee and then a storage fee of £10 or £20 per day that the vehicle was impounded. In most compounds the staff can accept payments by cash and most credit cards will be taken.